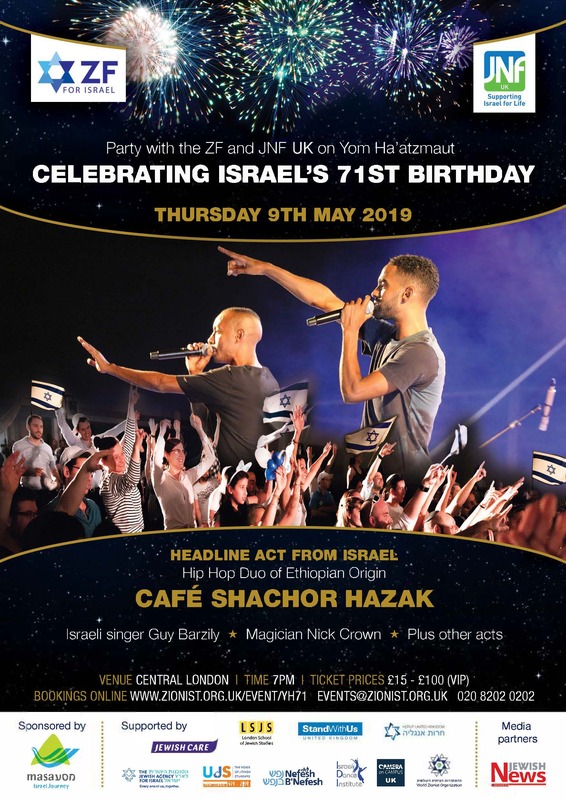 Party with the ZF and JNF on Yom Ha’atzmaut, celebrating Israel’s 71st birthday. 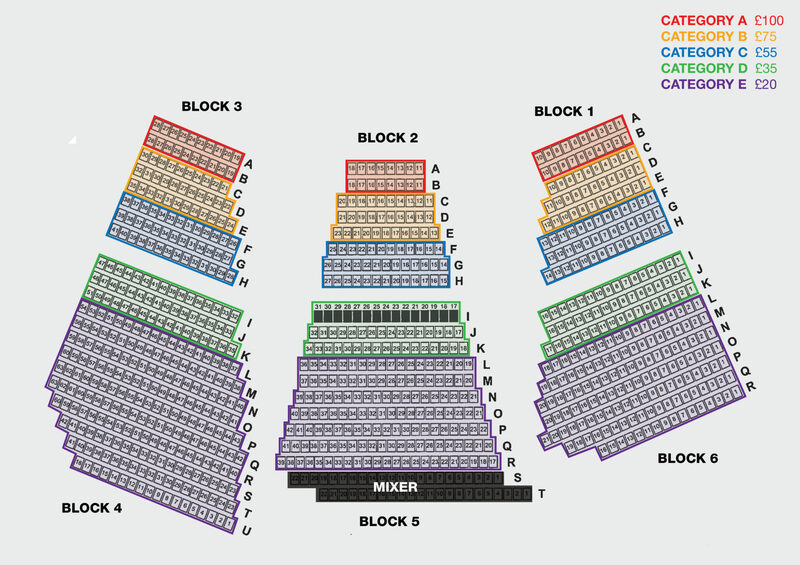 For ZF members, enter your membership number during checkout and we will upgrade your Category E ticket(s) where availability allows. *Seating layout for guidance only. 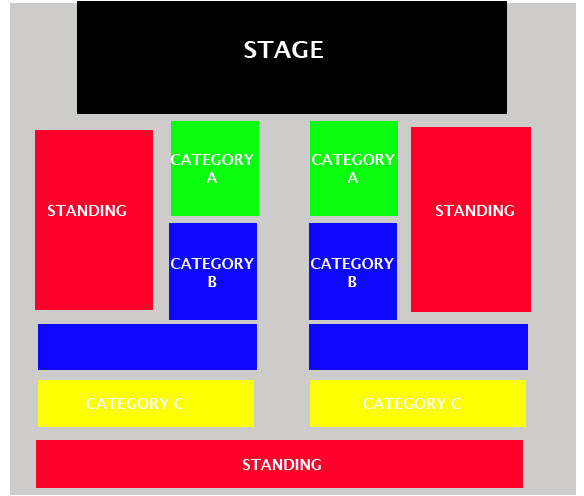 *Seats will be allocated according to price band and on a first come, first served basis. *Concession prices are available for under 16’s, students and Senior Citizens. For each concession ticket booked, the same number of concession ID’s must be shown upon arrival to the event. If you do not have any ID on collection you may have to pay the difference in price.